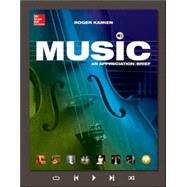 McGraw-Hill is revolutionizing the Music Appreciation course by introducing its first personalized digital learning experience with Roger Kamien’s Music: An Appreciation, Brief Edition. Using this market-leading instrument that brings great music to the course in more ways than ever before, students are now transformed into active participants in the Music Appreciation space. The result is active listening, active reading, and active learning. Connect is the only integrated learning system that empowers students by continuously adapting to deliver precisely what they need, when they need it, so that your class time is more engaging and effective. It provides tools that make assessment easier, learning more engaging, and studying more efficient.